Get all the tools you need to write better scenes. In this series of workshops, we will examine in depth a different element of scene writing every Wednesday evening, so that by the end of the series, you will feel like you have all the tools you need to write better scenes. Each workshop starts with introductions, then a presentation on the evening’s topic with examples, a Q&A period, and one or two writing exercises to help cement what you’ve just learned. You can join any session you’d like to attend. Learn to develop your characters and make them feel more real, by focusing on both pre-story character development and ways to develop your characters better during your story. You can attend all workshops or attend only the topics that interest you. Wed., 03/27/19 Setting & Subtext Learn how to write better setting and examine the role of subtext in scenes. Wed., 04/03/19 Character Development Learn to develop your characters and make them feel more real, by focusing on both pre-story character development and ways to develop your characters better during your story. Wed., 04/10/19 Prose Learn ways to write a better narrative, with an emphasis on writing better sentences. Wed., 04/17/19 Pacing, Mood & Tone Learn how to pay attention to pacing, mood, and tone in your scenes. Wed., 05/01/19 Voice Learn ways to help figure out your writer’s voice, and how to give your characters unique voices. 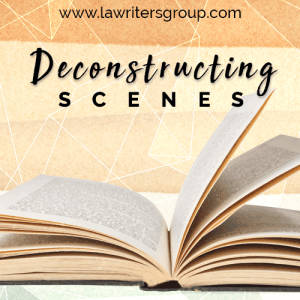 Wed., 05/15/19 Common Mistakes & Scene Deconstruction Learn the common mistakes in manuscripts and how to deconstruct a scene from your favorite book. Anyone over the age of 18 years old. Anyone wanting to write a story, including memoir writers. Nicole Criona is the owner of Los Angeles Writers Group and specializes in helping writers books. She has been running writing workshops since 2003 and has helped more than 30 clients complete drafts of fiction and nonfiction books. 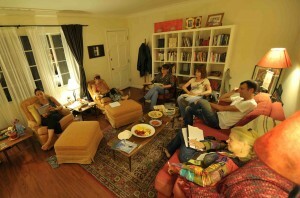 To keep the costs of our workshops affordable, we run them out of private residences. The above an image displays the meeting space at our headquarters in West Hollywood, located near the Los Angeles intersection of Hollywood Blvd. and Laurel Canyon Blvd. - Click on the calendar icon to save the date.